Sadly, Rogers have now bitten the dust but there are still plenty of db101s out there, delivering sonic pleasure. Designed by Peter Stevens (who also designed the McLaren F1, Lotus Elan and Lotus Esprit amongst others) and Andy Whittle of Rogers. 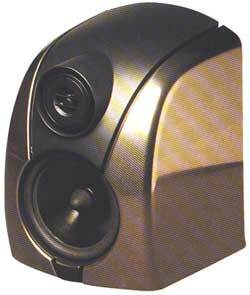 This radical design, in conjunction with Rogers' enviable reputation for manufacturing high quality studio monitors, really proved to be a winning combination with the dB101. Ideal for nearfield monitoring, background music and small public address systems.